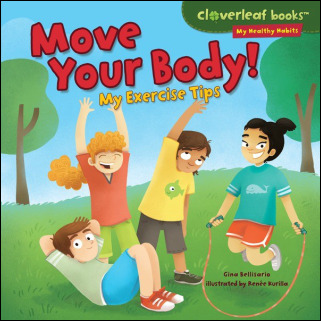 Gina Bellisario - author for kids! Ellie is super excited for her first day at Winkopolis Elementary School. After spending her whole life being homeschooled by super-genius inventor parents, she can't wait to hang out with normal kids and learn normal things. But Ellie soon learns that her super powers make her stand out in a not-so-super way. Can she save the world and fit in with her new friends? Or is blending in the one thing this superhero can't do? Ellie can't wait for the school spelling bee-she's a super-speller and is sure she'll be crowned queen of the bee! But when her best friend Hannah makes the cut for the spelling bee instead, Ellie discovers that being super doesn't mean she shouldn't study. When it's revealed that the substitute librarian in charge of the bee has a villainous plan, it's up to Ellie to save the day-and her friendship. As a superhero, Ellie can stop almost any foe except for boredom. 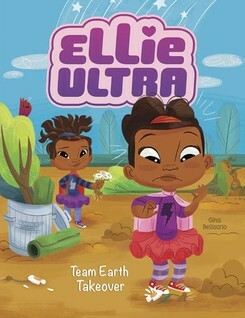 When all her friends are busy, Ellie has a brilliant idea: she'll use her parents' latest invention the Ultra Animator to bring Super Fluffy, her favorite stuffed animal, to life. But when the Ultra Animator also animates Doomsday, the super-villain from Ellie's favorite comic book, she has bigger problems to deal with. Can Ellie save Winkopolis from destruction, or does this spell D-O-O-M for her hometown? Ellie Ultra is a leader. As a superhero, she kind of has to be. So when the opportunity to become class president comes up, it's a no-brainer that Ellie will run. The only downside is that devious Dex Diggs, her arch nemesis in the school, is going to run too. After an Ultra Genie wish machine gets into Dex's hands, Ellie know exactly how the world will be if Dex takes over. Ellie has to do everything she can to make the world a better place and undo evil wishes, even if she isn't president. Ellie Ultra has a lot of responsibilities as a superhero. So when the chance to become Hamster Helper for the class's hamster, Squeak, comes around, Ellie isn't so sure she wants to add another thing to her list. But her name is picked and now it's up to Ellie to make sure Squeak is taken care of. All is fine until a mishap in the lab happens and suddenly Ellie's not so big any more--literally! A tousle with the Ultra Shrinker makes Ellie three-inches-tall. Now she has to take care of Squeak AND grow herself big again before it's too late! And as Ellie soon finds out--it's not easy being small. Ellie is invited to a Halloween sleepover at her best friend Hannah's house. She can't wait to have some spooky fun with her friends . . . until the lights go out. Nothing scares Ellie worse than the dark! But when the villainous Fairy Frightmare strikes the sleepover and sprinkles the girls with bad dream dust ― trapping them inside their worst nightmares ― there are bigger things to worry about. 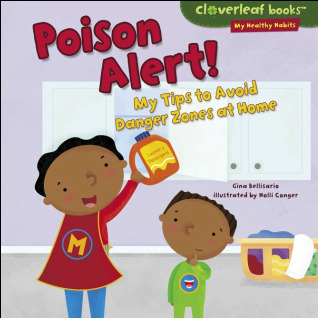 Can Ellie squash her fear and save her friends? Ellie is excited to go to Camp Hero, where the motto is: Where Super Friendships are Made! But when Ellie's cabinmates, superhero twins Mona and Leona, give her the cold shoulder, Ellie decides to use her parents' latest invention to get them to like her. The invention works too well, and the twins start fighting over Ellie! Can Ellie stop their double trouble and find out why they weren't friendly to her in the first place? From sparkling boats on Lake Michigan to giant roadside statues along Route 66, Illinois has it all ― ​and Mia's going to see everything the Prairie State has to offer when she visits her favorite cousin for Christmas. Along the way, she gets some great state gifts, including a chirpy red cardinal named Ruby, some spooky ghosts, and a whole gang of sock monkeys--invented in Illinois! How do stars shine so bright? Stella's imagination takes her on an adventure to explore the stars. Join her on a mission to visit constellations, learn about the closest star to Earth, and maybe even race a shooting star! Find out more about the fascinating stars in the night sky. Earth is truly amazing! It has giant glaciers, gorgeous canyons, and it's the only planet we know of with intelligent life. Ian is exploring Earth with his tour guide, Dr. Sally. Join them as they study ocean animals, the African savanna, and the chilly South Pole. Find out more about the planet we call home. Mars is an exciting place, with deserts, volcanoes, and winds that kick up giant dust storms! 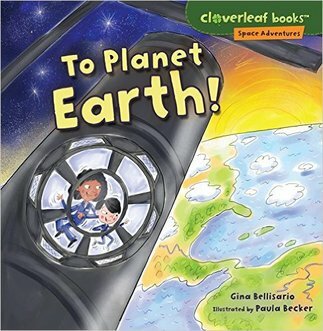 Avery's imagination takes her on a journey to this amazing planet. 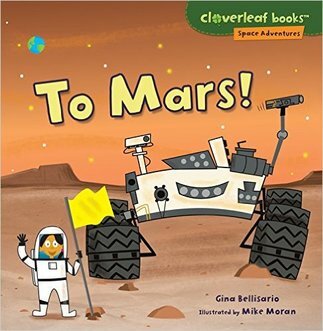 Come along as she hikes up a rocky hill, plants a flag, and even spots water on the surface of Mars. Find out more about the place scientists call the Red Planet. It's almost Field Day! But Natalie's team isn't ready for the big race. Their muscles get tired easily. Ms. Starr teaches them about aerobic and anaerobic exercise. They learn some stretching exercises too. Now they're full of energy. Can they win the beach ball relay? Caleb is playing Mud Monsters. He's a muddy mess. Time for Bubble Trouble! He takes a soapy bath to chase dirt and germs away. Caleb also makes a No Germ Zone at the dinner table. And he brushes and flosses his teeth before bed. ​Goodbye, germs! Are you curious about dinosaurs? Music? Volcanoes? You're in luck! Mr. Field is a librarian. He knows how to find information about all kinds of cool things. He shows the students in Mrs. Ríos's class how to use the library. Let's hear it for librarians! Do you want to learn more about police cars? Police dogs? Other tools the police use? Then it's your lucky day! Officer Gabby is a police officer. She knows how to keep people safe. She shows a group of kids how she does her job. Three cheers for police officers! What does a veterinarian do? Let's find out! Dr. Kate is a veterinarian. She visits a school to give Henry, the class guinea pig, a checkup. She shows the class the tools she uses. She tells them about the many things vets do. And the students learn how to take good care of Henry. Hooray for veterinarians! Are you curious about fire trucks? Firefighting clothes? Hoses and ladders? You're in luck! Firefighter Jim works at the fire department. He knows how to handle all kinds of emergencies. He shows a group of kids how he does his job. Let’s hear it for firefighters!